A few key questions about autonomous vehicles and the sharing economy is what will happen and when will it happen. While some substitution will occur, it is likely that autonomous cars will not widely propel consumers from disowning cars. Only 12% of consumers say they know a lot about autonomous cars, and 25% say they know nothing at all. That's not to say consumers aren't interested in autonomous features. 75% are likely to consider a vehicle with autonomous vehicles in the future, and younger generations have a higher propensity to adopt autonomous vehicles. While we are definitely headed into a future that is different from today, it's one that offers more opportunity than threat. That being said, dealers need to be preparing now for a world where possibly fewer consumers buy and own vehicles and where fleets take on a more dominant role in the auto ecosystem. What will happen with autonomous cars, when will it happen and how will it impact the auto industry? It’s no surprise that there is so much talk about autonomous cars in the industry today, but what do consumers think – or even know – about them? 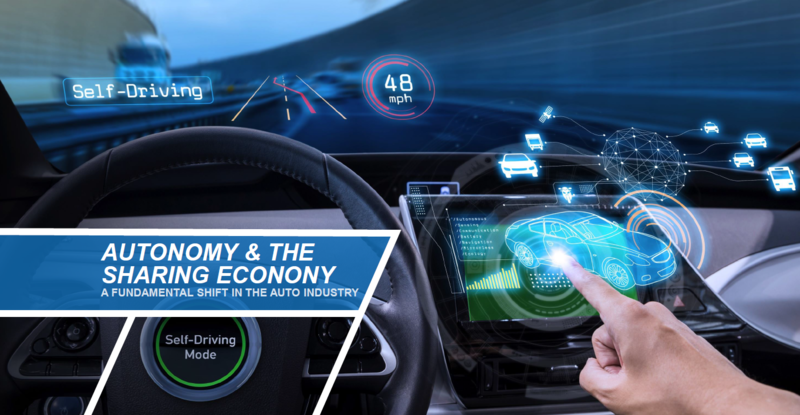 In this video, Isabelle Helms, Vice President of Research & Market Intelligence at Cox Automotive, shares the consumer perspective on autonomous cars and the sharing economy and what that could mean for dealers in the near future.